Over the past two weeks, I was pleased to see the government announce three new infrastructure projects that will benefit our riding of Kingston and the Islands. All together, the projects amount to over $40 million dollars in federal funding and will go towards: CFB Kingston, the Rideau Canal Historic Site, and Fort Henry National Historic Site. The $25 million federal investment into Kingston’s Military is set to be phased in over the next few years, with the majority of the funding going towards creating a new 4000-square-metre Peace Support Training Centre (PSTC) at CFB Kingston. With the design for the building already drawn up, construction is planned to start as early as this summer, and continue until completion in 2017. A new state of the art training facility will help CFB Kingston increase its teaching capacity (from 60 to 100 soldiers at a time) and modernize its world class training programs, which include: pre-deployment training for Canadian soldiers and UN military observers, specialized information and psychological training programs, and cross-departmental training with Foreign Affairs, Correctional Service Canada and the RCMP. The second part of the funding is for improvements to the living quarters on the base and for scheduled maintenance at the Princess of Wales Own Regiment site on Montreal Street. In terms of economic benefit, it is estimated that the investment will bring about 100 jobs to the Kingston area. On Monday June 1, we learned about $39.4 million dollars in new federal funding to revitalize and repair infrastructure along the historic Rideau Canal. A good portion of that funding and associated jobs – about $6.6 million dollars – will be for projects in Kingston. 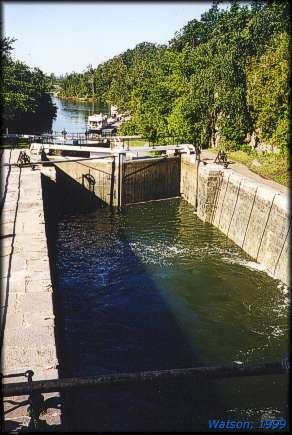 Kingston Mills – the southernmost lockstation of the Rideau Canal which connects the waterway to Lake Ontario- is slated for two major infrastructure upgrades. The first is a $2.3 M project to replace the current fixed bridge, and the second is $2.2M project to rehabilitate the current steel swing bridge that was built in 1988. A further $2.1M has been allocated to rehabilitate the Upper Brewers Earth Dam. On top of these Kingston specific projects, our community will also benefit from the regular repairs to lockstations and dams that are set to take place at various locations between Ottawa and Kingston. Upgrades to the electrical system and other miscellaneous repairs at the Fort.